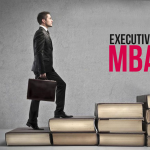 The point of pursuing management courses is to become adept and capable managers in real life. Success depends on what you have learned and how you have been taught. The curriculum does play an important role. Teachers know what they have to teach and how to teach it. Students know what they will learn and can make a choice to specialize in one or another stream. Curriculum defines quality of education and capability of students once they complete the course. 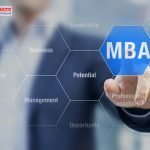 Only a few select management institutions like FOSTIIMA have advanced management courses in Delhi that are aligned with those offered in Harvard, Stanford and IIMs. Further these courses are modified and refined by taking inputs from industry leaders and management experts to be comprehensive and all encompassing. Emerging methodologies are incorporated into management courses in Delhi to make them relevant and endow students with real, useful knowledge. Whether a management student wishes to major in HR or marketing or international business, the curriculum of management courses in Delhi take into consideration key concepts of business and focus in students developing advanced analytical skills. One important thing about learning and teaching is that students must be given knowledge in small portions and absorb them in full through theory and practice. Overburdening students leads them to skip on some vital concepts. “Take the next step by keeping one foot on the ground and then raise the next foot forward” is key to progress. Textbook learning is not of much use. 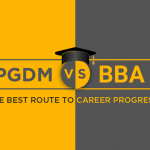 Management graduates are expected to know how to formulate strategies and handle situations. Theory is not of much help here. As such, curriculum of top management courses in Delhi focus on the experiential side. Theory becomes deeply rooted when grounded in practice and experience. It becomes intrinsic to the psyche. Students learn theory, the how, what and when of each little thing through implementation in ongoing projects. Capability rises to higher levels. Eventually, students pass and then go on to work in jobs. They take to work like ducklings take to water. Handling job responsibilities becomes second nature and shows in just how professionally they handle whatever comes their way. “Teacher, teach thyself” is a saying that could well apply to some teachers in some institutions. They are hardly equipped to teach since they themselves lack sufficient knowledge and experience so what they do is deliver a lecture by rote and leave students to fend for themselves. FOSTIIMA is different. It makes a world of difference when your teachers are past IIM graduates with years of industry experience. They know how to handle curriculum and deliver knowledge. Students do not ever get bored. They get immersed and become proactive, learning more in the process. This is the difference good faculty makes. Students look forward to sessions instead of dreading or avoiding them. Studies become like hobbies, in one sense. Students love it instead of considering it as something to be done and get over with. ← Business Schools in Delhi – Do They Teach Business or Do They Run a Business? Copyright © FOSTIIMA, All rights reserved.